Your very welcome Don, glad you and all the others were along for the ride, made it a lot more fun! Right now I am working on carving the steersman for it, if that comes out well I'll do the engineer as well, its time for a wood carving project! could they steer by the tracks, or just the front skids? The tracks on these was just for power, steering was just by the front skis (wheels on dirt). These have a differential to make the steering easier. They used ice roads with ruts molded in for the skis to help too. 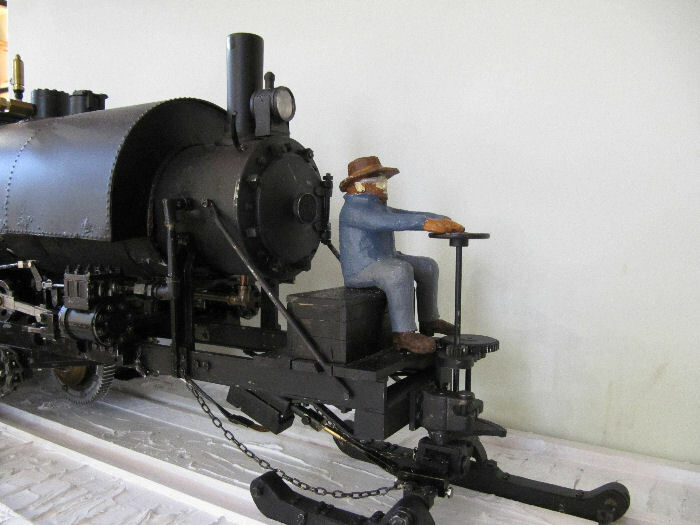 Other inventors like Hornsby added the ability to steer by the tracks only on their tractors. 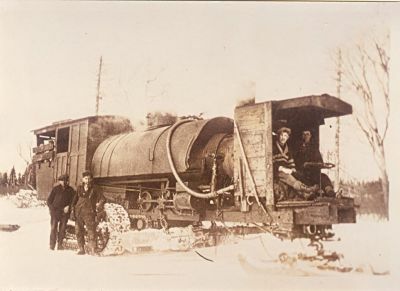 Poor bloke on the front is going to get frozen, why dont you put a cab on to keep him cosy ? Were those cabs original or fitted by the owners, there looks to be a few different designs when googling it. Seriously though. Superb job on the model. The cabs were not a factory item, the owners added them so each was different. 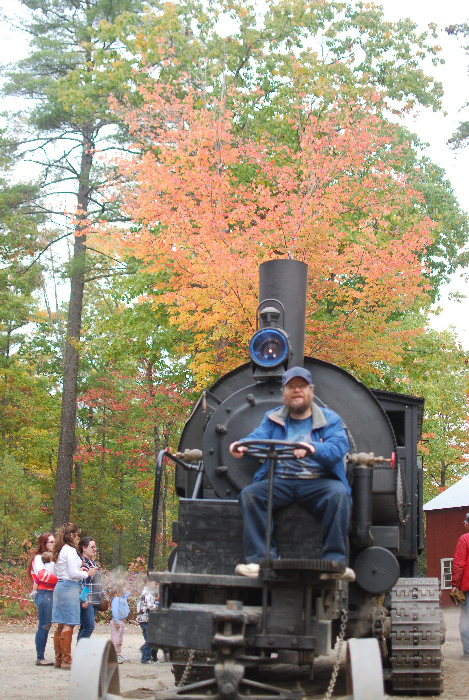 When I got the opportunity to drive the one in Maine, I was expecting to feel more heat radiating off the front of the smokebox, but it was just warm, not very much heat off it. The driver must have been very cold when going into the wind especially! These were only used in the winter, glad I got to drive on some nice sunny summer days. Wow. What an amazing piece of work! Inspiring to know that such detail and technical skill is even possible. Makes me all the more appreciative that you have taken the time to help a total beginner like myself with your advice. Thanks very much Gary! Sharing ideas and help is the great part about this forum, I am still learning a lot here too. Bad Behavior has blocked 13809 access attempts in the last 7 days.